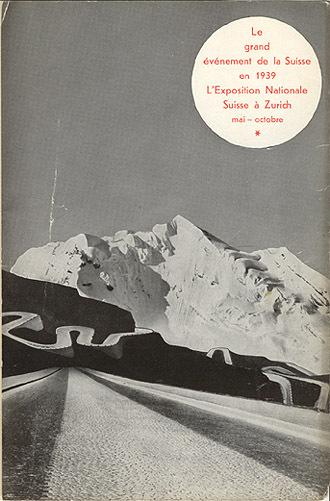 Travel brochure "Le Petit Guide Suisse," 1939. Design and photomontages by Herbert Matter. Published by the Swiss Tourist Bureau. Printed by "Benteli S.A.," Bern. Inside view.